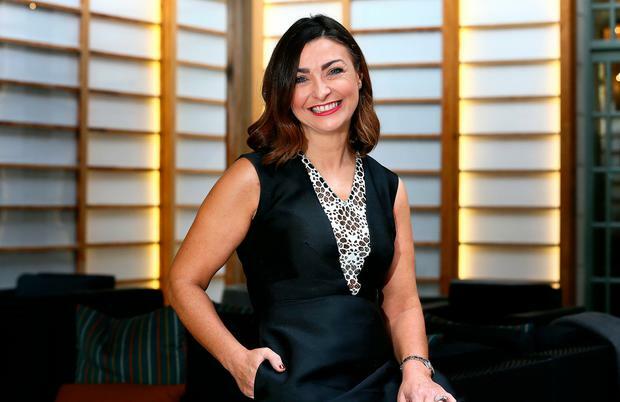 The Irish consumer likes to know the face behind the business, the story behind the brand - and Oonagh O’Hagan’s warm and open character is well suited to the role. “One of Meagher’s Pharmacy’s USPS [unique selling points] is that we’re a small family-run SME business,” owner and managing director Oonagh O’Hagan told independent.ie. “We’re not trying to be a multinational, we don’t want to be cold or have a clinical feel - it is important to bring the personality to the fore. Since purchasing the “community pharmacy”, Meagher’s fleet has grown by an additional seven stores across the Dublin area, including a unit based right inside the Mater Hospital. But the path of business success was not always smooth for the entrepreneur, and Oonagh had a steep learning curve when it came to pivoting the business to meet the ever changing needs and demands of the customer. Drastic changes in the business model were never more crucial than when the recession hit. “Our business took a nosedive at the time of the HSE cuts; at that point, our business was 80pc dispensary and 20pc retail,” said Oonagh. “We knew whenever those cuts were happening, that the dispensary business was going to keep coming down and we had no control over that. So Meagher's repositioned itself at a point where people really couldn’t afford to spend €60 to go to the doctor and were taking preventative measures so as not to get sick, for fear taking time off work would lead to them losing their jobs. Backed by the knowledge and innovation of her close-knit staff, Meagher’s decided to pull their pharmacists out to act in a front facing role, utilising their expertise, and training up their front line staff to become technicians. “We recognised at the time that we had a team of people who were really highly trained, yet were in the dispensary putting labels on boxes, not interacting with patients,” said Oonagh. “Our customers were telling us that the reason they came in was for the people - and to speak to a pharmacist. Yet, on the ground, the pharmacist wasn’t available to speak to. And it was this in-house wealth of expertise that was tapped into once more when Meagher’s spotted a gap in the skincare market. The group sought out a number of Irish-owned nice beauty brands that some of the bigger pharmacies didn’t stock, and soon became a go-to destination for customers to travel to. “We weren’t going head-to-head with the multinationals on the ‘3 for 2’ deals; we didn’t want that and we knew we could never win that game because they have a big marketing budget and we don’t. So we felt there was a gap with those smaller brands,” said Oonagh. It wasn’t too long before consumers wanted to order these products online and while the business was initially reticent to make the move “it got to the point where we couldn’t ignore it”. “Eventually we took the plunge and launched the online store; it was an utter disaster from the get go,” said Oonagh. “The look of it was wrong, the feel of it was wrong, the functionality was wrong, everything was wrong - we hadn’t a clue what we were doing. After undergoing a rebrand to reposition itself in the marketplace, the business decided that they would draw from their core values - “we are day makers, not transaction takers” - and that meant that their USP when it came to online would be around the packaging. But bringing the personality of the business forefront was perhaps most effective when Meagher’s moved to social media - namely Snapchat. Their digital presence allows their customers to, not only interact on how best to use a certain beauty product, but also educate them in terms of mental health, sexual health - and demystify any other general health queries that there may be a stigma around. “Our customers on Snapchat feel like they’re actually talking to the person behind the brand, they can see exactly what’s going on - and Irish people like that,” said Oonagh. “One of the big things we realised is that we were assuming that people knew what we know, but they don’t necessarily know how to use a product, or how to take it or when to use it. That has been one of our key learnings in engaging in digital. In addition to regular Snapchat consultations where Meagher’s “take things right back”, a pharmacist is online once a week answering questions on topics such as the flu vaccination and the morning after pill. “People can understand now what’s ahead of them and they don’t have to be scared to come in. With the morning after pill, for example, you’re not going to get quizzed about who you were with last night. Meagher’s investment in online, and technology in general, is only set to continue as Oonagh believes that the potential for bringing additional services, more interaction and faster delivery for consumers is huge. “We’ve found that technology is a real enabler for our business, so we’re looking at other technology that we can actually tap into to improve the customer experience and bring that expertise to life. Oonagh will be speaking at the IRDG annual conference on innovation in Croke Park on October 24.